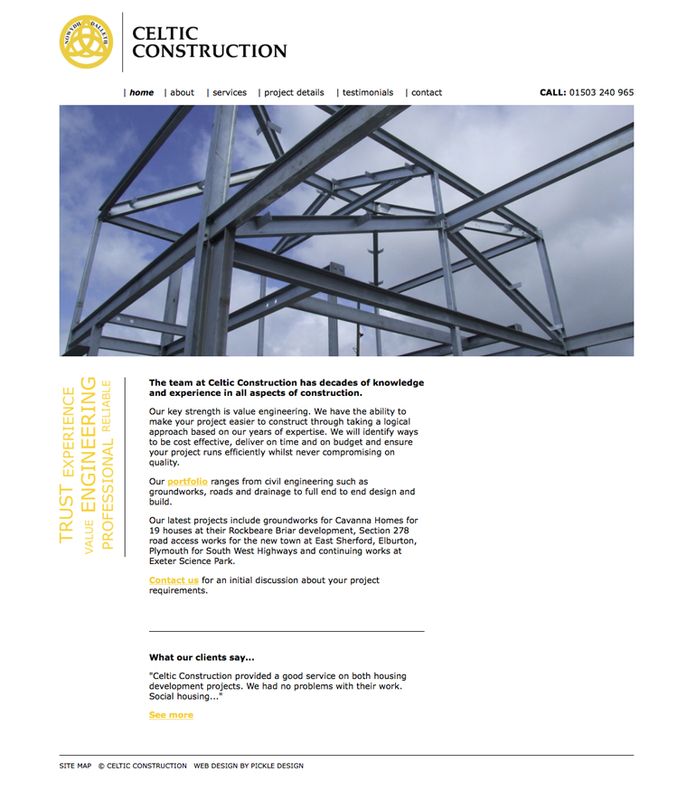 A responsive website for a trusted Cornish construction company. 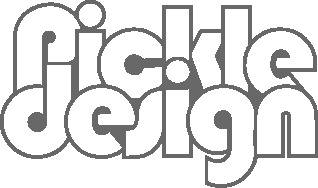 We used blocks of colour in the design, keeping it clear and easy to use. With plenty of white space it feels fresh, making use of the brand’s Cornish colours of black and yellow. 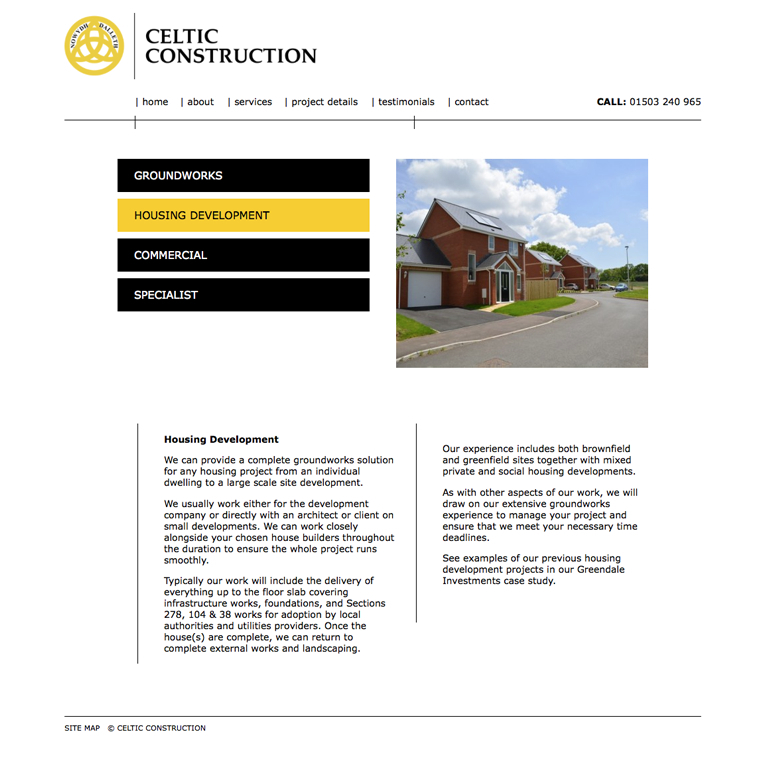 The website’s content adapts to fit a mobile, tablet or computer screen. The site features an image carousel which can feature video and images. Testimonials can be uploaded by the client, with a random comment displayed on the home page. Case studies are displayed in the Project Details section and also include a slideshow along with a step by step breakdown of their work. The purpose of this website was to showcase how this company works, the breadth of their experience and show the diversity of the projects they have worked on.